Thanks for your patience, as usual. I have pinpointed a problem caused by the twoside argument for an article. I have a minipage in a later part of a document. When content in that minipage becomes large enough, it is moved to next page, creating an empty space on bottom of page before. When that happens, the items in the itemized list on page before are stretched to triple spacing. I am pretty sure this problem is caused by twoside because I've cut out every thing else, one by one, and the funny line stretching does not happen if I remove twoside. 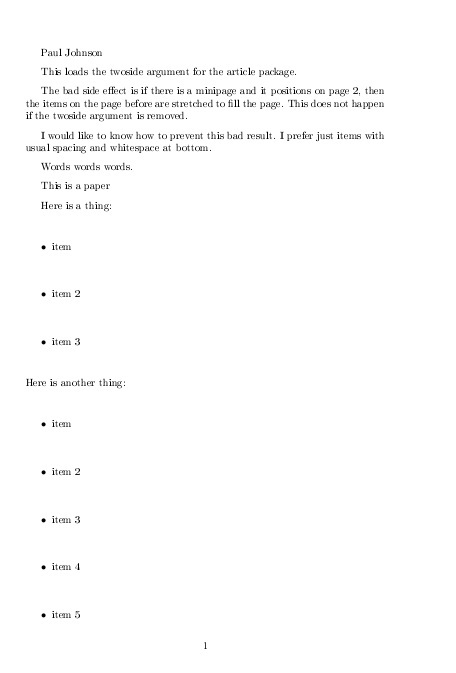 I want to keep the items with correct spacing; i.e., I need to just leave the white space on the bottom of page before minipage, no matter how large. I cannot fix this with \newpage or such, there is no way to predict ahead of time how much space there might be or how much content will be in the minipage. It appears in about 95% of cases, the minipage does not flow onto next page. The reason I am using twoside is that the report is required to use an even number of pages in the file. If report is even pages, then we insert a blank on 4th page. That is necessary because there will be several other PDF reports and it is necessary for each one to begin on front side of paper. If it is not necessary to use twoside, you can tell me other way? This loads the twoside argument for the article package. page. This does not happen if the twoside argument is removed. items with usual spacing and whitespace at bottom. 2, breaking line spacing on page 1. With the option twoside the article option also sets \flushbottom to make all pages the same height. To prevent this, you have to add \raggedbottom in the preamble. Not the answer you're looking for? 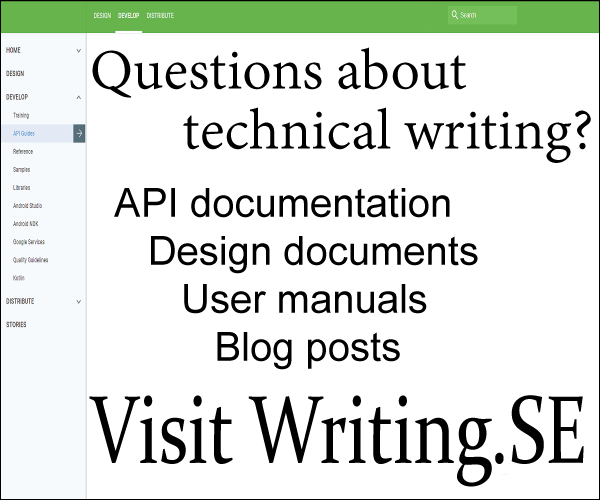 Browse other questions tagged vertical-alignment double-sided or ask your own question. Changing minipage vertical alignment in mid-line? Reset page vertical space on top?